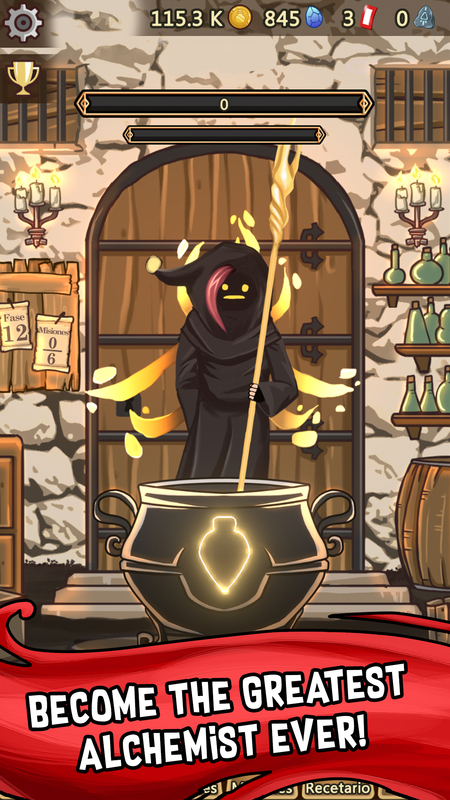 BECOME THE GREATEST ALCHEMIST IN AVENTRA! 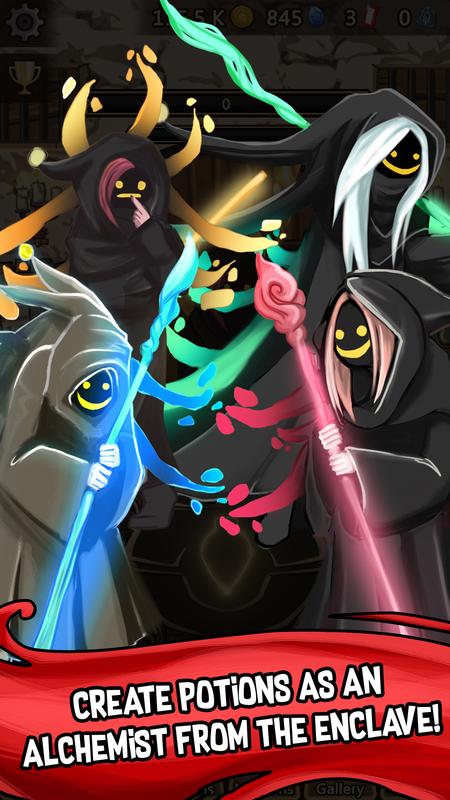 Welcome to the second Medieval Clicker adventure in the world of Aventra! Some time ago we discovered the epic adventures of Talkor and Vala, amazing blacksmiths forging the most epic weapons. This time we will focus on incredible world of Alchemy. 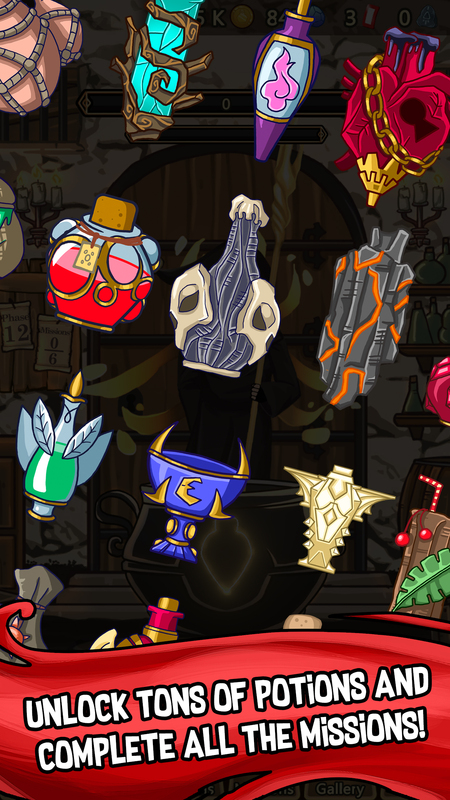 In this game you’ll be able to craft potions ever as a talented alchemist. There are multiple alchemists you can choose from to brew your potions using a large variety of different ingredients you will discover along your adventure. 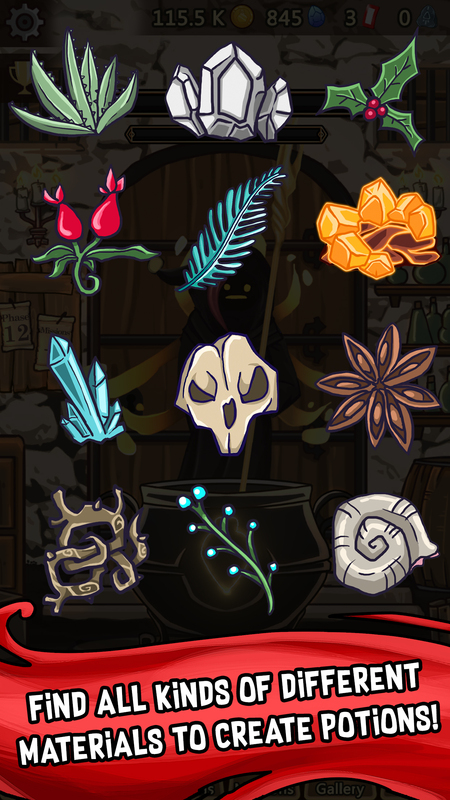 One of the features of this game is that Medieval Clicker Alchemy and Medieval Clicker stories are connected! So you will discover some materials you used in Medieval Clicker 1 such as Nekross or Moonstone and many more. You will also discover fragments of the story in each phase to see another side of the war and the challenges our army has to face.